The Vision Plus VP4 Digital TV Amplifier is designed to enhance the performance of all non-amplified directional TV antennas. 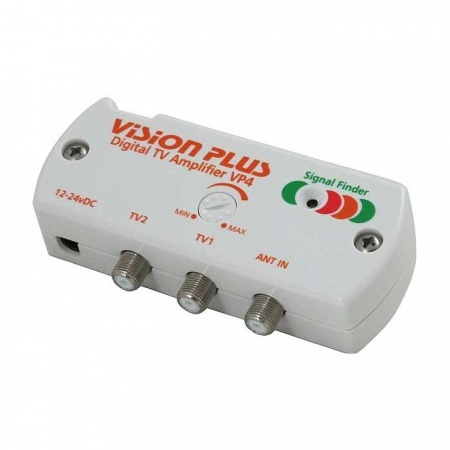 This distinctive item also includes a dedicated Signal Finder which will make it easy for a person to track the most powerful, obtainable digital TV transmission. This effective amplifier with high gain and low noise functionality will guarantee performance especially in inferior reception locations. 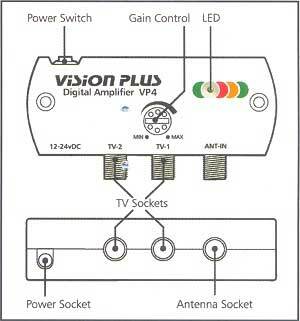 In order to boost / amplify the signal that your television receives it is necessary to fit the VP4 amplifier between your aerial / antenna and the television itself. This means that the lead coming from your aerial must first go into the amplifier using the port / socket marked 'ANT IN'. You will then take a 'flylead' from any one of the sockets marked TV1, TV2 or TV3 to the television. 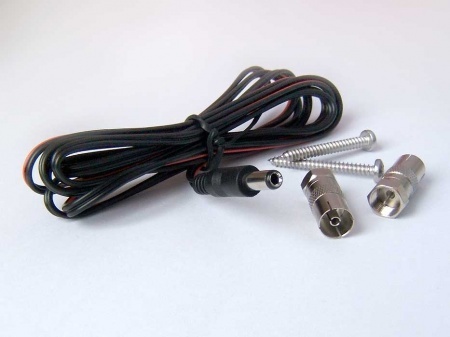 If you have a standard coax flylead you can use the adapters provided with the VP4 to enable the connection. 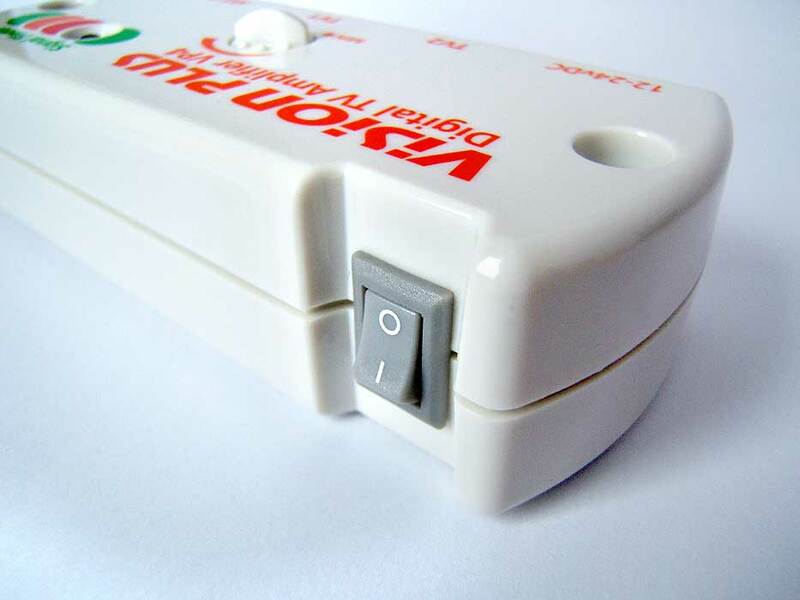 If you so desire, the VP4 can be fixed to the inside of a cupboard using the units fixing points and the fixing screws provided - but this is not absolutely necessary, it can be left to sit freely if you wish. If you do fix it, remember there is an on /off switch on the unit that you may want to have access to. These are not comprehensive instructions but a guide to give you a good idea of how the VP4 operates. When you switch on the VP4 the LED light on the top will light up. It is now a matter of rotating / moving the aerial whilst watching the signal indicator to find the direction of the best signal from the transmitter.